President: New education law must be developed by September | Russian Legal Information Agency (RAPSI). Gorki, April 19 - RAPSI. The final version of the law on education must be developed by September, Russian President Dmitry Medvedev said at a meeting with Education Minister Andrei Fursenko. “The law must be finalized by September,” Medvedev said. He added that the discussion of the law should continue. 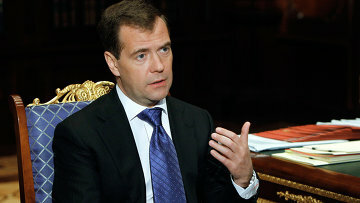 However, “there are key points that must be preserved,” Medvedev stressed. The federal law on education may come into force in 2013 and be fully effective by 2016. In late 2010, the new version of the law was introduced for general discussion upon the president’s orders. The new law is expected to replace the two framework laws on education and graduate and postgraduate education adopted in 1992 and 1996, respectively. The law will regulate all educational levels, including pre-school, secondary and high school education and vocational training. The law received nearly 10,000 comments in three months that will be considered by a special commission on comments and suggestions. 17:58 19/04/2011 The final version of the law on education must be developed by September, Russian President Dmitry Medvedev said at a meeting with Education Minister Andrei Fursenko.